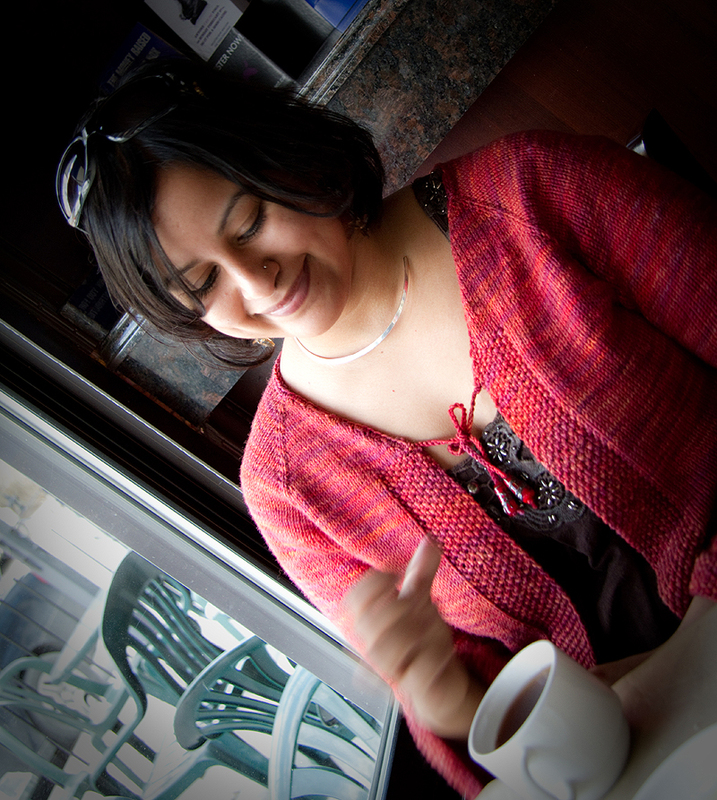 Just over 2 years ago I finished my first knitting clothing item – a pretty simple, raglan cardi. I was delighted with my accomplishment, and the sweater was super pretty… except that it didn’t quite fit. It didn’t close completely over the chest, and the sleeves were too tight for my arms, and so, sadly, I never wore it past the day of my FO shots. About a year goes by with this poor sweater living in a drawer. Finally I frogged it. It was a painful decision, but I decided that the yarn deserved better than a shelved clothing item – being that the yarn in question was 6 skeins of Tanis Green Label Sunset! Another year went by while I searched for the perfect project for all this yarn. 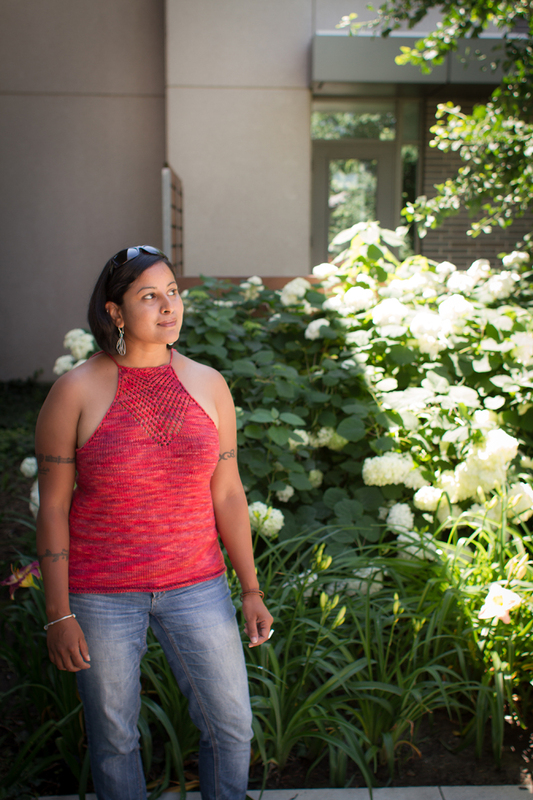 A few weeks ago I saw this pattern for the Arrowhead Camisole and it was love at first sight. Nevermind that it calls for cotton. Nevermind that heavy merino is not what one should reach for in summer wear. 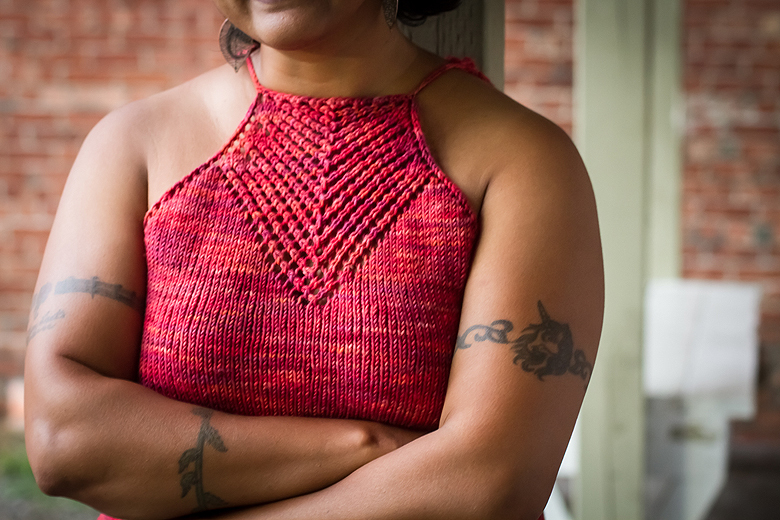 I had to have this top, had to have it in the sunset, and loved it enough to knit my second ever clothing item. This will definitely see lots of summer wear. The front is knitted in one piece, the back in 2 pieces and the parts are joined, so it was a little more complex then the first cardi. 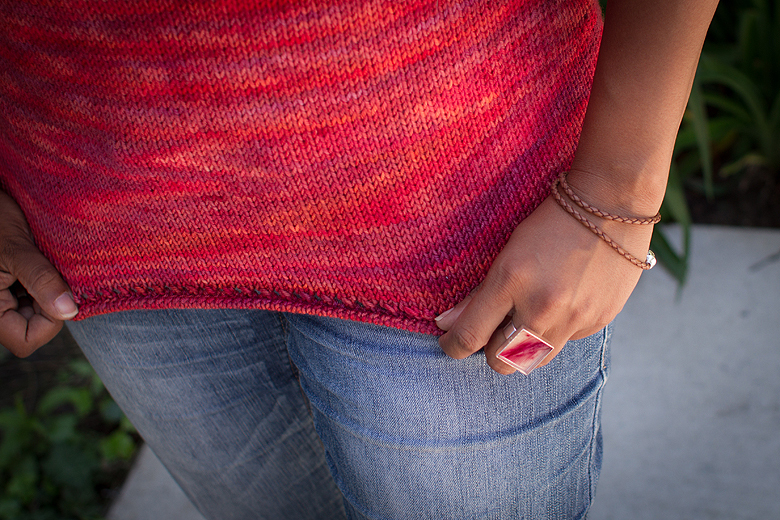 The lace is so gorgeous in the Tanis, which has such amazing stitch definition. I opted for a crochet finish on top instead of the i-cord, but otherwise followed the pattern exactly. It’s more comfy than you’d think in the hot weather, the yarn breathes nicely and it’s super nice on cooler summer evenings. I love the sewn bind off – time consuming but lovely! 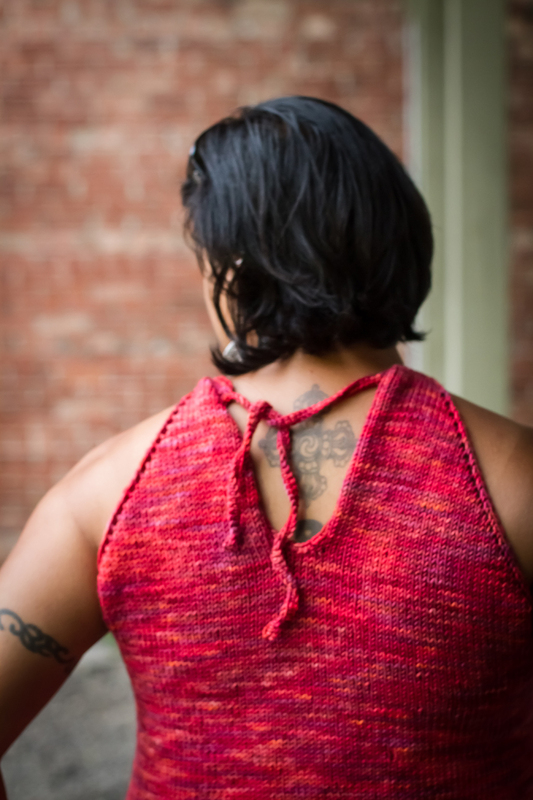 It’s so hard for me to commit to a whole knitted top, such a time commitment in case it’s just not flattering at the end… but this one was definitely a win. The top turned out perfectly. The colour suits you well. Love it!